Japanese dancer Sae Maeda joined The Royal Ballet's Aud Jebsen Young Dancers Programme from the start of the 2017/18 Season and was promoted to Artist in 2018. Maeda was born in Yokohama and began dancing aged seven. 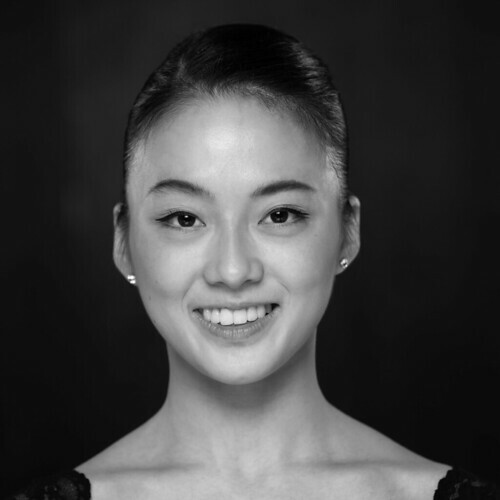 She trained at Mayumi Kinouchi Ballet School and at The Royal Ballet School on a Prix de Lausanne scholarship. Roles while at the School included in Les Patineurs, Les Sylphides, Soirées musicales and The Sleeping Beauty pas de quatre at the annual matinees and in Concerto at the John Cranko Schule Gala and the 2016 Beijing International Dance Performance Series. Professional engagements while a student include dancing with The Royal Ballet in The Nutcracker.